I'm no stranger to Obia Naturals. Since my transitioning days, I've gone on to write or include Obia's products in a number of my blog posts and articles. Click here to see what I'm talking about. Even though I'm no stranger to their products, I'm an avid supporter of re-visiting and re-reviewing products from time to time. Especially after your hair changes. 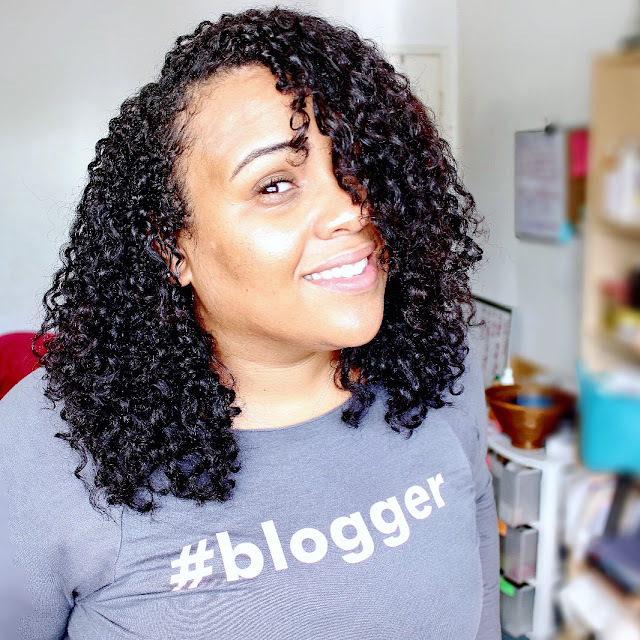 That's why when Obia launched their re-branded line of products, I was inspired to connect with them and see how their products would fare with my been-through-hell-and-back curls. Of course, because it's 2016 and I'm fancy, there's a video for those of you guys that like product chit-chat. But for all the super juicy details, read on! Saponified Oils: When it comes to soaps and shampoo bars, the term "saponified" is always not too far away. Saponification involves sodium hydroxide aka lye - but it's not gonna relax your hair! Learn more about the science behind saponification here. This soap bar contains saponified oils of coconut, castor, palm, and safflower. Collectively they moisturize, treat dry and thinning hair, soothe itchy scalp, and improve elasticity in the hair. Vegetable Glycerin: Vegetable-based humectant that absorbs and retains moisture from the air. Rosemary Essential Oil: Concentrated oil great for stimulating blood circulation on the scalp, promoting nourishment and growth. Also has antibacterial properties, and can help relieve dry, flaky, and irritated scalp. Technically yes, because it contains no sulfates or silicones! What's there not to love about the Coconut Shea Shampoo Bar? I was WILD about it back in the day, and I'm wild about it now! It's cost-effective, super moisturizing, has tons of slip, and gets the job done cleaning-wise! Plus, thanks to the natural oils, my hair is super soft and shiny Every. Single. TIME! What more could you ask for?! No like, but really. What more could you ask for in a cleaning product? The only down side to the shampoo bar is something I discovered on the user error end. Because it is made with natural oils, if you leave the suds on your hair for too long, the bubbles will turn, well...oily. For looser curls and finer textures, this isn't really the best thing. If your hair is on the drier side, you'd likely benefit from the additional oils. My workaround for this is simply not letting the shampoo suds sit in my hair. I rinse them right out! The Coconut Shea Shampoo Bar makes an excellent travel companion, cost effective alternative to traditional shampoo, and great natural cleanser. Over the years I've tried a great number of shampoo bars, and Obia honestly has one of the best ones. Absolutely! It's easy, convenient, cost effective, and works beautifully! Click here to read my original review of the Coconut Shea Shampoo Bar! Cetyl & Stearyl Alcohols: Considered "fatty alchols" -- NOT to be confused with drying alcohols such as ethyl. Both Stearyl and cetyl alcohol are lubricants, thickeners, and emollients. They give conditioner its velvety feel without making hair greasy. Also used to keep product ingredients from separating. Stearamidopropyl Dimethylamine: A derivative of stearic fatty acid that is used to keep ingredients from separating, as well as provide "slip" (useful for easy detangling). As you saw in the video (you did watch the video, right? ), I mouthed something like, "this has more slip than I remember" when working the Babassu Deep Conditioner through my hair. Talk about FACTS! Back in the day, I likened this to Eden's Coconut Shea DC, but now I feel like that's not quite right! Obia should really consider changing the name of this deep conditioner to Super Moisturizing Magic for Trifilin' Curls because that's exactly what it is. The slip is way better than I remember, which made working it into my strands a lot more manageable. The deep conditioner itself is super velvety and full of nourishing oils for dry, damaged hair. And somehow, with some sort of sorcery, my hair felt strengthened without the presence of any proteins. Sorcery, I say! But again, all the magic is in the rinse out. My hair was hydrated, springy, velvety smooth, and full of shine - like it soaked up all the good stuff without being greasy or weighed down. Yassss! When I initially reviewed the Babassu Deep Conditioner, I wasn't a huge fan of the fragrance. It wasn't bad... it was just not my cup of tea. I think I called it a hybrid between clean, floral, and plant oil-esque (lol). The fragrance hasn't changed, but I've gained a new appreciation for it (lol). This is simply because in the time since I initially wrote the review, I've seen and experienced some products that smelled much, much worse. I don't exactly love the fragrance, but I can appreciate it from two perspectives - one, I've smelled much worse (Shea Moisture Peace Jericho Lion of Judah Rose, I'm looking at you). And two, I know trying to mask the fragrance of certain strong oils (like babassu) is hard. Every regimen (especially us chronically dry or color treated gals) needs a stellar, super moisturizing deep conditioner. And this is the one. Absolutely! With LA having terrible air and a never-ending drought, my hair needs all the moisture it can get. Deep conditioning is the best way to get much needed moisture deep within the strands of the hair - and Obia Naturals Babassu Deep Conditioner does that amazingly well! Click here to read my original review of the Babassu Deep Conditioner! Rose Oil: Extraction of oil from roses known to have antiseptic and healing properties, soothing and healing scalp itching and irritation. Also believed to help stimulate healthy hair growth. Tocopheryl Acetate (Vitamin E):Vitamin E. Supports hair growth, and believed to assist in preventing hair loss. Also has been known to be a proven UV protectant. If you watched the video, then you know that I have a very tepid reaction to refresher and hydration sprays in general. Most of them, I simply don't care for. But honestly, Obia Naturals changed the game on ya girl and I'm a believer! Curl Hydration Spray is lightweight, nourishing, and delivers serious hydration to second, third, fourth, and fifth day curls that need it the most. Seriously, it's now my go-to for getting my curls to spring back up once I've slept on them overnight, or laid them on every surface known to man in the gym. In addition to using it as a refresher, I use Curl Hydration Spray as a primer, when my curls are fresh off wash day. It helps infuse my hair with an additional layer of hydrating nutrients and oils that soften, shine, lay the cuticle, and preps my curls for optimal styling. The only thing I'm not wild about has absolutely nothing to do with the product itself. I'm not a tremendous fan of the spray mechanism on the bottle. When using Curl Hydration Spray as a primer, my hands tend to be soaking wet from washing, and it can be difficult to hold on to the bottle and spray simultaneously -- because well, my hands are wet. A trigger spray nozzle is a quick fix for this -- just swap the top and keep it moving. Otherwise, Curl Hydration Spray is a total win! OMG guys, call me special, but at the time of this review, I just realized that Curl Hydration Spray is for the scalp too! Totally makes sense, with the rose oil being a main ingredient. My scalp was feeling a little itchy, so I sprayed it in parts directly on my scalp and WOWWWWWWW! It feels amazing! It's cool, refreshed, and doesn't feel dry or itchy anymore. I totally hadn't considered spraying on my scalp before, but this is so about to be a thing that I do. Yassssss! Talk about icing on the cake of an already awesome product! Absolutely. Sign me up. I'm a believer! Now that we've got wash day down, it's time to style. 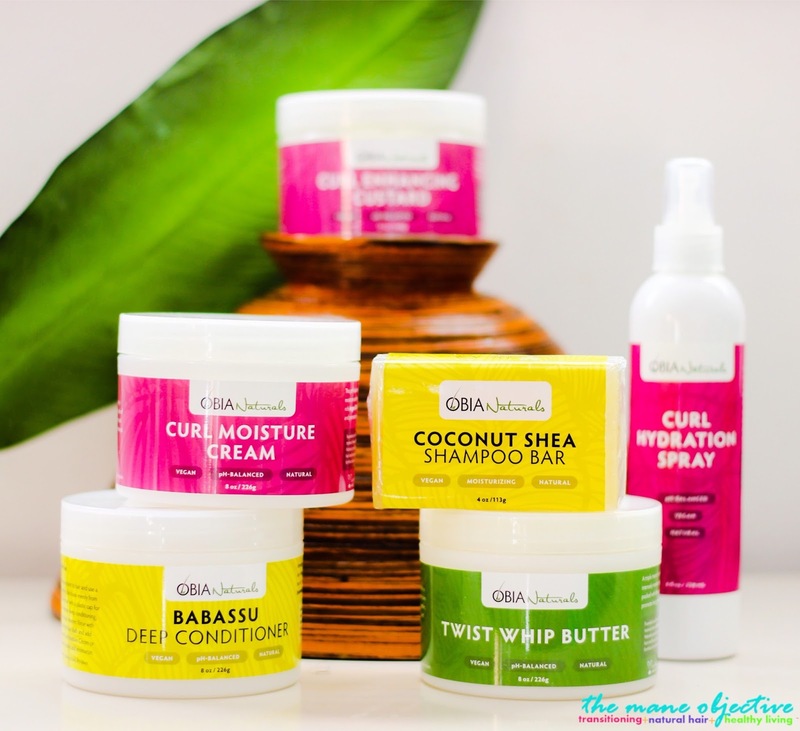 Click here to read part II of my Obia Naturals line review - it's all about Curl Moisture Cream, Twist Whip Butter, and Curl Enhancing Custard!